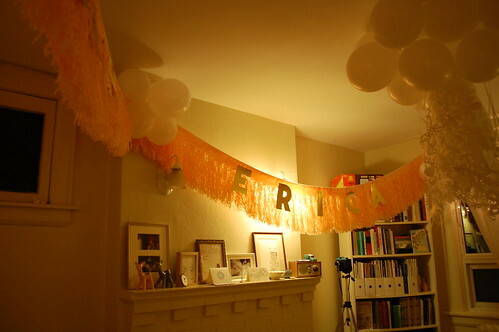 I was really excited to be invited to Erica‘s birthday party on Saturday, hosted by Anabela & Geoff. Little did I know just how dreamy this party would be. 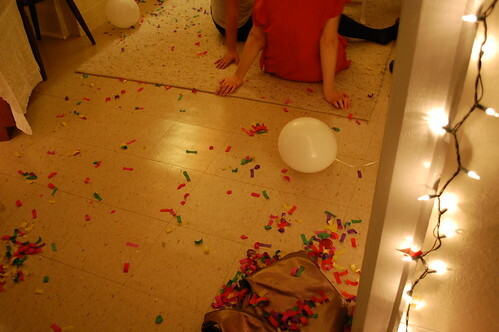 Firstly, their apartment is the cutest thing ever. I hardly knew where to look, there were so many great pieces of art by artists that I love. 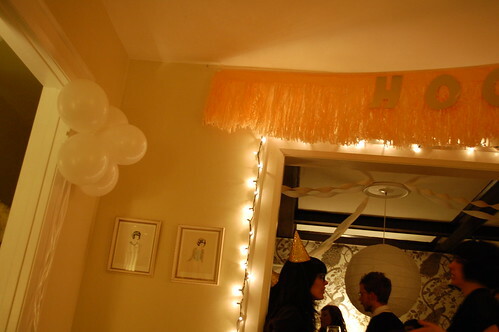 The place was lit up with twinkle lights and decorated with balloons and peachy, frilly banners. There was a tower of cupcakes and lovely nibbles to eat. I finally got to meet Nikole in person. Finally. Nikole brought THE cake. I have never seen anything like this spectacular cake. I almost cried when I saw it and it wasn’t even for me. It was a chocolate cake with sour cherries in the middle. 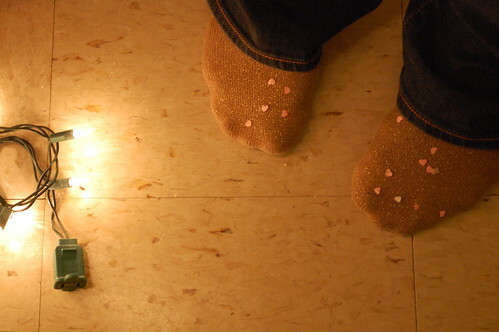 It was completely devoured towards the end of the night, but not before it was lit up with over thirty candles which set the tiny little flags on fire. Did I mention the pink unicorn pinata? 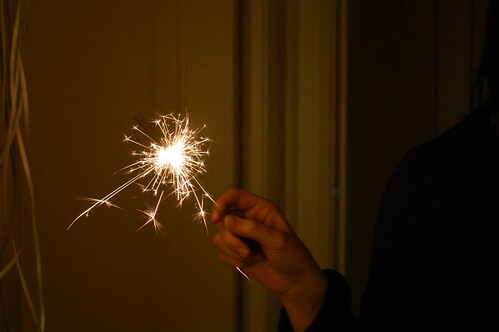 or the sparklers, the glitter birthday hats and the exploding streamers? Anabela, you totally set the bar for future birthday parties! p.s. Celine’s photos from the party are pretty great. p.p.s. Anabela’s party post is here. Ahhh so beautiful!! Yay for Anabela & Geoff and Erica and wonderful Nikole! Jane – I was hoping you would be there too! oh wow, very dreamy indeed! looks like it should be part of lula mag or something. 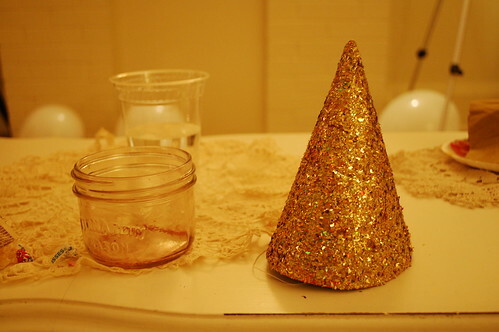 i love the gold glitter party hat! That cake is just devine!! Thank you so much, Karyn! My my, what an amazing little community we have here. I just love thinking about all the wonderful ladies who live in this town! That is the best compliment, Michelle! Wow. And for everyone else: it’s true! 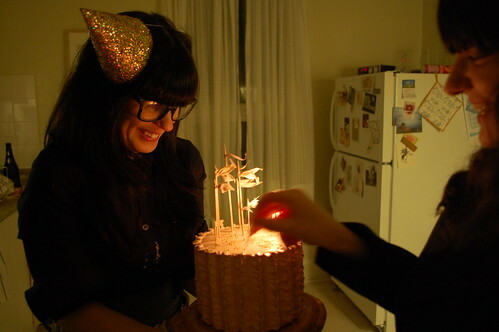 I thought Karyn was really going to cry when she saw that cake! it has been so nice to see all the pictures on everyone’s sites. all the details are gorgeous, from anabela’s decorations to that showstopping cake of nikole’s. looks like a marvelous party. hi karyn! was so glad to meet you FINALLY too! looking forward to next monday. and g&a, such a fun party, love. i can’t wait for summer. Oh – you can just feel the love and warmth. Beautiful. What kid of icing was on the cake? Is looks so pretty and very delicious! oh these pics are great! 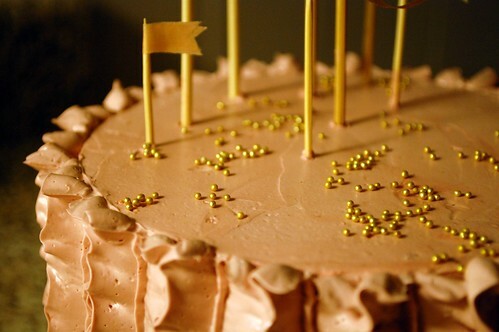 that cake was like a dream come alive, so nice to have all of this documentation so that i remember it was real. truly the most perfect pink ever achieved. thank you to all for a night of such aesthetic beauty! 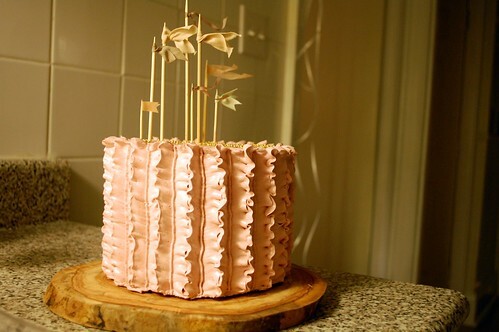 How did you make this amazing ruffled cake????? Please tell.